Until the Victorian era it was common practice among doctors to taste their patients’ urine: a sweet taste was an indication of diabetes mellitus, a chronic, lifelong condition associated with an impaired ability to produce or respond to insulin, resulting in abnormal carbohydrate metabolism and elevated blood glucose levels. At the beginning of the 21st century, Prof. Bernard Thorens uses somewhat different methods for diagnosing ”honey disease”. 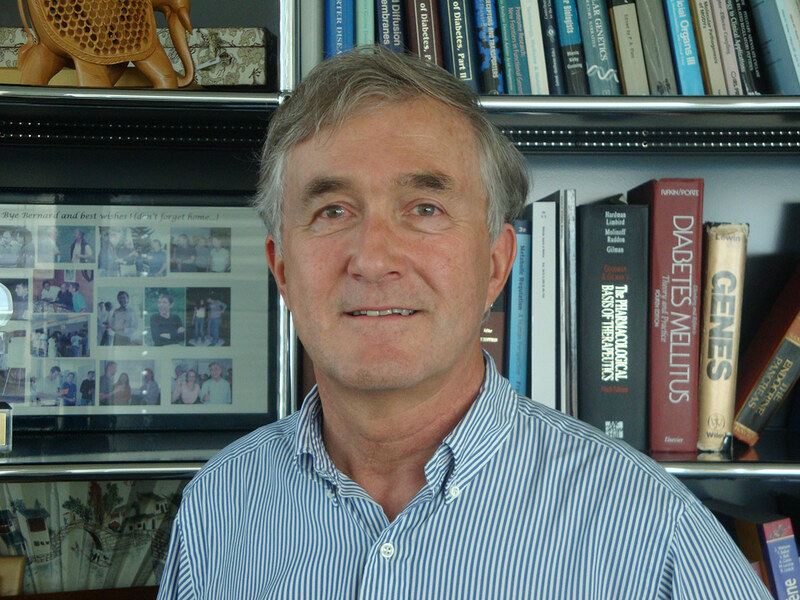 Many years, ago, he has directed his research towards unraveling the mechanisms that control glucose sensing, in search of new therapeutic options for the treatment of diabetes. – Prof. Thorens, could you briefly present your research topic? BT: I have always been interested in metabolism and glucose homeostasis, both from an academic angle and from a clinical perspective, studying pathologies such as insulin resistance and diabetes. During my post-doctoral training in the lab of Harvey Lodish – at the Whitehead Institute for Biomedical Research in Boston – I had cloned the GLUT2 gene, encoding Glucose transporter 2, a transmembrane protein facilitating glucose transport across cell membranes. Later, when I arrived in Lausanne, I cloned GLP-1R, encoding the Glucagon-like peptide 1 receptor, a member of the glucagon receptor family of G protein-coupled receptors and a therapeutic target in the treatment of diabetes. As of those days, several of our research projects still deal with elucidating the function of GLUT2 and GLP-1R, both at the molecular and the systemic level. – These factors have been in the midst of your research attention? BT: Yes, one could put it like that. For many years we have been studying the role of GLUT2 and GLP-1R in the glucose sensing pancreatic β-cells that secrete insulin as a response to increased blood glucose levels. Glucose Transporter 2 is a key player in this process and suppressing GLUT2 expression impairs the glucose-sensing capacity of the β-cells. Some years ago we have shown that GLUT2 is likewise expressed in specific neurons in the brain, which we identified as glucose-sensing cells that are responsive to variations in blood glucose concentrations and are integrated in neuronal circuits that control hormone secretion from the pancreatic islets. This is our main research topic: glucose sensing in the brain and its interaction with the pancreatic islets. BT: In the mean time, it has become clear that there exist other glucose-sensing systems – especially in the brain – that are GLUT2-independent. For example, we have identified the hormone FGF15 (fibroblast growth factor) as a new regulator in the brain that controls glucagon secretion. – Could you comment on that? BT: We have searched for new glucose-sensing systems in the brain – in a completely unbiased manner – through a genetic screen. Since we were interested in glycemic control in the brain, it was legitimate to assume that hypoglycemia-activated neurons play an important role in this context. And from previous studies we knew that control of glucagon secretion is not a Mendelian- but a quantitative trait, controlled by several genes. Consequently, we performed a genetic screen – mimicking hypoglycemia in 40 different, genetically well defined mouse strains – in search for quantitative trait loci. As such, we were able to identify a new genetic locus involved in hypoglycemia response. This locus comprises about 120 genes, but eventually we could – based on our assumption that this glucose sensing system would be present in the hypothalamus – narrow it down to one gene and thus identify FGF15 as a new regulator of glucagon secretion in the brain. BT: FGF 15 is specifically localized in a subset of neurons in a small region of the hypothalamus. We have now generated mice that express GFP in this particular subset of neurons, as a way of identifying them and visualizing their projections. We have performed patch-clamp analysis on brain sections and have demonstrated that most of these neurons are sensitive to variations in extracellular glucose concentrations. At present, we are specifically activating this subset of neurons, via cell-specific expression of receptors that are activated by specific drugs, and analyze the physiological response in the animal. …a new therapeutic target to treat type 2 diabetes? – Could FGF15 be of clinical relevance in the treatment of diabetes? BT: Allow me to first point out that diabetic patients treated with insulin progressively lose their capacity to develop the cognitive signs of hypoglycemia and to mount the appropriate hormonal response to restore normoglycemia. Consequently, these patients can experience life-threatening hypoglycemic periods. This phenomenon, termed “hypoglycemia unawareness” is not understood, at present. That is one of the main reasons why we are particularly interested in unraveling the mechanisms that control the hypoglycemic response in the brain. At the moment, we are trying to answer questions, like : “Is FGF15 expression altered in patients with hypoglycemia unawareness?” or “Can we modify FGF15 expression in these patients, as a potential therapeutic route?” and “ Can we activate or inhibit these hypothalamic neurons and improve the response to, or prevent this hypoglycemia unawareness?” So, my answer to your questions is: yes. Our ultimate goal is to understand the mechanisms that provoke hypoglycemia unawareness, as a means to identify new therapeutic options to treat type 2 diabetes. To that end, we are involved in an “Innovative Medicine Initiative” project from the European Community – that specifically focuses on hypoglycemia – enabling us to set up a network between academia and the pharmaceutical industry. – Glucose homeostasis depends on multiple hormonal and neuronal signals. How much of this complex interplay is understood at the moment? BT: Our knowledge on these complex physiological interactions is still fragmentary. In this respect, it is important to note that glucose-sensing cells – which are present at different anatomical sites – must somehow be inter-connected and communicate with each other to ensure an integrated response, enabling either insulin or glucagon secretion. – And when “something goes wrong” might result in dramatic systemic effects. BT: Absolutely. I believe that a defect in this glucose monitoring system is in many cases the initial cause of type 2 diabetes. The ensuing imbalance between insulin secretion and insulin action is probably secondary to this glucose monitoring anomaly. – “Balance” being a key word, no? BT: Some people have so-called “pre-diabetes”, a condition which is diagnostically not well defined: their blood glucose levels are somewhat raised but are not yet in the diabetic range. Now, the intriguing fact is that some with pre-diabetes progress very fast to type 2 diabetes – and will eventually need insulin therapy –, whereas others will stay pre-diabetic for the rest of their life. At present, there are no ways of discriminating between both populations. So, we are searching for early biomarkers that can predict the susceptibility to develop type 2 diabetes and thus offer patients a more personalized therapy. – Which research strategy are you following? BT: As part of another “Innovative Medicine Initiative” project that we are coordinating, we have access to clinical data and biosamples from healthy individuals, pre-diabetics and diabetes patients from very large cohorts of individuals throughout Europe. So, the idea is to find biomarkers in their plasma that would enable us to make a stratification among these different populations. To that end we are employing high throughput approaches to quantitatively analyze polar marker metabolites, small peptides, micro RNAs and lipids – for example, we can quantify 300 different lipid species – in these cohorts and search for correlations with clinical trajectories of sub-populations. – Have you found something? – Prof. Thorens, now you have made me curious. BT: The answer is yes: plasma sphingolipid levels are increased in patients that have developed pre-diabetes. – Are you now saying that sphingolipids are early biomarkers to predict disease progression in humans? BT: At this stage, I would prefer to call these sphingolipids “biomarker candidates”. – Prof. Thorens, would you agree to the statement that biology is experiencing the rediscovery of metabolism? BT: Absolutely. It is intriguing that the important biochemical pathways – such as glycolysis and fatty acid oxidation, to name but two of them – are not only involved in securing the organism’s energy balance but have many other functions, which we are only beginning to explore. You know, only recently we have come to understand that many epigenetic phenomena are regulated by specific metabolites: you can change the fate of a cell by changing its metabolism. For example, some types of cancer cells switch their metabolism from oxidative to glycolytic, resulting in altered gene expression and epigenetic modifications. And even the origins of some neurodegenerative diseases are presumably linked with mitochondrial dysfunction and metabolic pathologies. – It is interesting that you mention this, because your research on metabolism also reaches into feeding behavior and neurologic disorders, no? BT: Yes, we have begun to explore this research area. We have shown that the glucose-sensing neurons in the hypothalamus, of which I just came to talk about, are also involved in controlling the reward system and sugar-seeking behavior in mice. In addition, we obtained evidence that abnormal GLUT2 expression in these neurons is linked to anxiety and depression.